Hydrocodone is a powerful medication that is designed to treat severe pain. Derived from codeine, Hydrocodone is a narcotic, which means that its ingredients work by blocking pain signals in the brain. As a side effect of its pain-blocking function, it can also create high effects in the person taking it, giving them a sense of relaxation and euphoria. The medication is extremely addictive, and as a result, prescription of the drug is carefully controlled in the United States. However, it is also in high demand, which leads many to wonder if homemade Hydrocodone is a possibility. 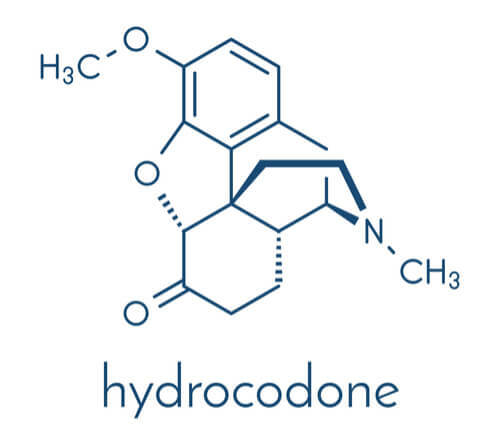 Hydrocodone has been in production since 1920 when it was first synthesized in Germany. However, in the nearly 100 years since then, it has strictly been made in pharmaceutical laboratories under controlled conditions. But does that mean it is impossible to recreate the chemical structure at home? 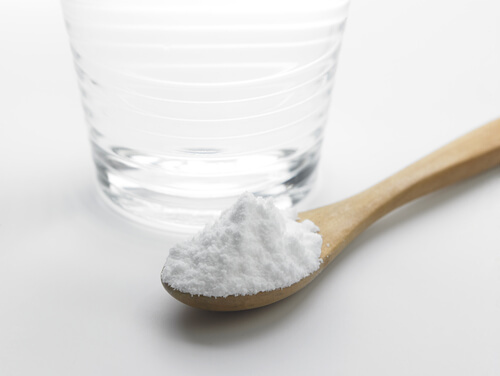 What is Hydrocodone Cold Water Extraction? What are Hydrocodone Chemical Structure and Ingredients? How to Make Hydrocodone at Home? The first thing to understand is what cold water extraction Hydrocodone is and how it differs from actually creating the drug at home. When people claim to be making the drug at home, this is usually the process they are referring to. However, it is not creating the medication from scratch. Note, that this method works for pills only as it is impossible to extract pure opioid from hydrocodone chlorpheniramine cough syrup, for example. Hydrocodone CWE (Cold Water Extraction) is the process by which cold water is used to remove other medications or unwanted ingredients from the medication, including long-acting Hydrocodone, without altering the structure of the central drug itself. While the drug can be taken as a medication all on its own, it is usually combined with other medication—one of the most common being acetaminophen, otherwise known as Tylenol. Many patients prefer to take a pure version of the medication despite what their doctor prescribes because Tylenol ingredients can damage the internal organs when taken on a regular basis, much more so than Hydrocodone alone. Those who abuse the drugs also tend to prefer pure Hydrocodone to achieve a better a high and to, in theory, reduce the physical risks associated with abuse. Using five or fewer Hydrocodone-Tylenol pills (should be done no more than one Hydrocodone acetaminophen dosage at a time), crush them into a fine powder. Place 150mL of water inside a container and heat it until it is warm, but still cool enough to be comfortable against bare skin. Combine the powder and the water. Chill the mixture in the freezer until it is cold but not frozen. Strain the mixture through a filter into a clean glass. Throw away what ingredients remain in the filter. Save what is in the glass. The mixture in the glass will be the CWE, retaining the chemical structure of the medication. The liquid should be cloudy and will taste bitter. However, when consumed, it will have the same effects as pure pills. This method only works with medications in pill form and is not useful for removing ingredients from liquid medications, such as Hydrocodone and homatropine. Is Hydrocodone CWE a Good Idea? While cold water extraction can be used on Hydrocodone, the most important question is not if it is possible, but rather if it is advisable. Hydrocodone without Tylenol is easier on the body and safer when the medication is taken long term. However, rather than taking on this chemistry project, it is possible to simply have the pure medication prescribed by a doctor if the medication is being taken for legitimate reasons. 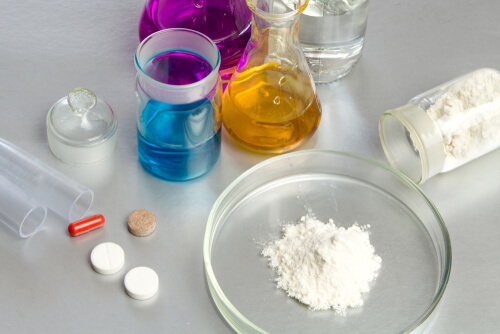 While cold water extraction is not illegal, the resulting substance is just as addictive as pills are, as the addictive element is the drug itself. There may not be any Tylenol to harm the internal organs, but the medication itself is not perfectly safe to consume. This is a question that many people taking the medication are curious about. Ultimately, the drug is derived from Codeine, and as such, it can be thought to have Codeine in it. In fact, it is considered to be the active ingredient in Hydrocodone. The chemical structure of Hydrocodone is written as C18H21NO3. Looking at the Hydrocodone chemical structure and the chemical structure of Codeine, they are exactly the same. However, the ingredients included in the medications are not. What are the ingredients in Hydrocodone? While these are the ingredients in Hydrocodone, they are not the only ingredients that the medication is combined with. For example, many people ask questions such as: does Hydrocodone have Tylenol in it? Or, does Hydrocodone contain aspirin? The answer is no, the chemical structure itself does not contain these elements, but in some cases, it might be combined with them. However, they are not part of the Hydrocodone structure or among the ingredients in Hydrocodone. Because access to the drug is highly restricted and the street price of Hydrocodone is high, many people want to know how to make Hydrocodone. It can be synthesized through Codeine, Thebaine, and Diimide reduction in a laboratory setting. The process used by pharmaceutical companies varies, and the exact details of the process are not easy to find online, nor are they simple to understand. However, people have been attempting to recreate its chemical structure and those of other synthetic opioids at home for years. According to research from Stanford University, as reported by Popular Science, it is possible to synthesize opioids from yeast cultures, including Hydrocodone. This discovery is relatively new, having first been reported in 2015. Researchers have not made an effort to disclose the exact process used, and with good reason—it could have deadly consequences. Making homemade Hydrocodone as a researcher with Stanford University is vastly different than an addict or someone who is unable to afford their medication attempting to recreate the chemical structure at home. From unintended chemical reactions to creating Hydrocodone in system that is deadly in its strength, the risks are incredibly high. As such, making the medication at home should not be attempted. Not everyone interested in making Hydrocodone or using cold water extraction is an addict in need of treatment for drug addiction. However, many are. Individuals seeking such information need to examine their motivation for doing so critically. If there is the possibility of addiction, help should be sought to treat Hydrocodone dependence. If you or a loved one are addicted to Hydrocodone, a rehabilitation program can get you through withdrawal and detox and set you on the road to recovery. Speak with our addiction specialists at (888)-459-5511.